Well, after surviving an attempted job axing in June, the government has rocked our world again and Henry’s school will close at the end of the year. It’s been a tense month in Christchurch with schools anticipating bad news but today it was laid out in black and white. We’ve been told it will cost just too much money to fix the earthquake damage. The school is no longer viable. We are so sad. 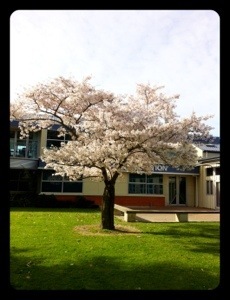 Henry’s school is a lovely little green space in the heart of northwest Christchurch. It’s one of the most multi-cultural schools around with students from over 50 different countries. It has a strong sporting tradition, a focus on music and every year sends our intermediate about 60 confident, capable, independent learners. Three years ago, another little local school was closed by the government and most of the children affected were gathered in by Henry’s school. Three years on and these children are about to be moved again, probably to a school that made it clear they were not welcome last time. It would seem that the aftershocks are not slowing down at all. I thought of you and your family as soon as I saw the news tonight. What a bummer. There must be a lot of really sad families in Chch tonight. I must say that I was surprised at the north west schools. I thought the rolls would have increased. The roll is stable… But the damage is apparently great. 8 million + dollars worth. Too much to spend on 250 kids. I wondered if you and your family would be affected by this when I heard the news. Is your job still safe? Hmmm… Not necessarily. We are still over-staffed but at least the school seems secure. For now.